Should the real ‘war’ be against lazy thinking and bad English? In the case of a word like democracy, not only is there no agreed definition, but the attempt to make one is resisted from all sides. It is almost universally felt that when we call a country democratic we are praising it: consequently the defenders of every kind of regime claim that it is a democracy, and fear that they might have to stop using that word if it were tied down to any one meaning. Words of this kind are often used in a consciously dishonest way. Whether it is the US Elections or the recent terrorist attacks in Beirut and Paris, news media (and those who write for social media) have resorted to use of words that seem to have lost their meaning. 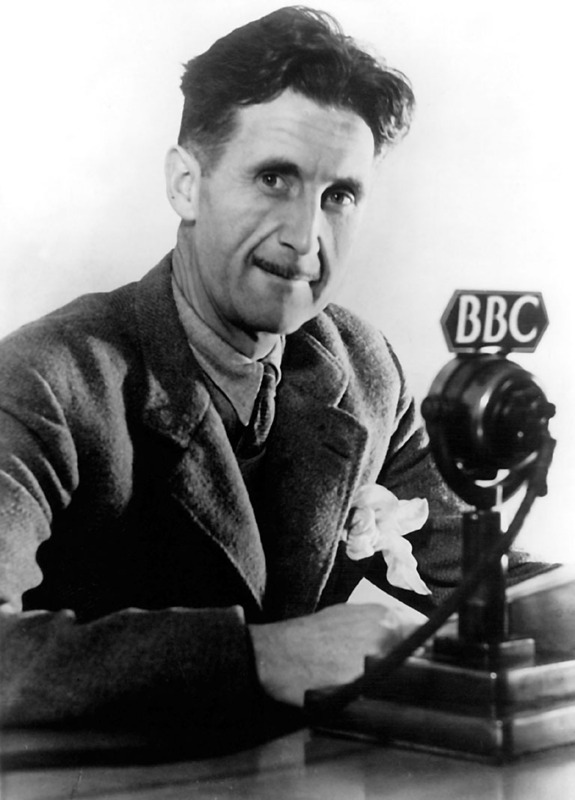 Orwell points out that the words ‘democracy, socialism, freedom, patriotic, realistic, justice have each of them several different meanings which cannot be reconciled with one another.’ What he is implying here is true of other words, concepts, ideas and phrases – used often for the ‘value’ they project- good, useful or pleasant and unpleasant, rather than any real concept that we are trying to understand or idea we wish to express. In the age of social media, where ‘content curation’ has become far more important, than ‘content creation’ this problem has only become worse. I am as guilty of ‘sharing’ ideas that are not mine, in an attempt to sound cool or look profound, but not realizing that my own intellectual contribution to this idea has been zero. No input, no hard work, no clear thinking – just agreeing or disagreeing with something – with often a very superficial understanding of what has been said. Similarly, English media outlets around the world use terms like ‘tolerance’ ‘terrorism’ ‘violence’ and ‘sectarianism’ and ‘democracy’ without really critically examining what these words mean. What does each of this word mean in a specific context – what are its consequences and what do people in each region/ country think about the word and the concept associated with it. How is the lived reality of a Lebanese different from that of an American when it comes to his/her experience of democracy or inter-faith tolerance? Much of this is lost in the rush to explain the ‘extremist violence’ gripping all of Lebanon and the blame is usually assigned to one or two actors, and that somehow satisfies our sensibilities – given that we want easy explanations, much of the time. Consider this a call for greater vigilance against lazy thinking and mental banking. We need a great war against bad use of English words, phrases and expressions, which obfuscate and confuse as much as they illuminate. We need a ‘global war on bad English’ as much as we had a ‘Global war on terror’. While the latter has failed, I do believe that with some vigilance, we can start to win the first one. The choice is truly ours to make! Next Next post: Should nonprofit pay be based on performance? No, says leading expert.